Entries in the Anthology series organize my favorite anecdotes about artists, writers, and historical events, and are always being updated. 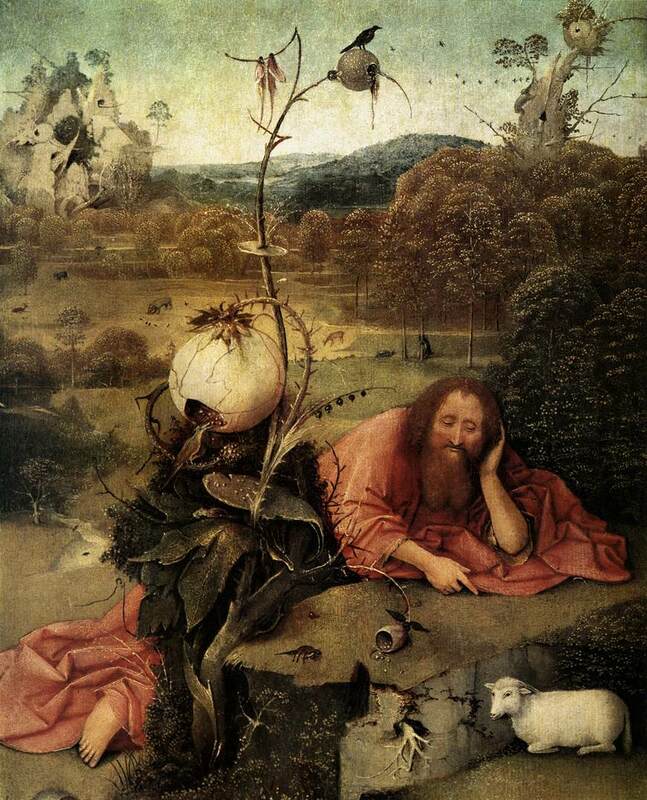 While I love and depend on the exhaustive biography or study, in many ways the disconnected stories and fragments have been more important in my day-to-day living with art, literature and history. 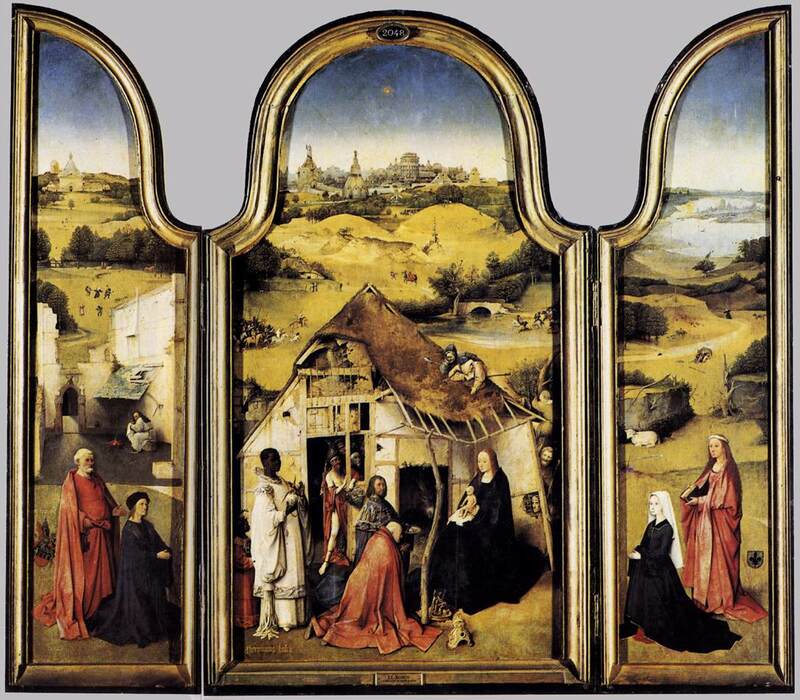 As such, nothing original is assumed here, and nearly everything in these pieces is built either on quotations from the historical personages themselves, or from the scholars who have written about them. 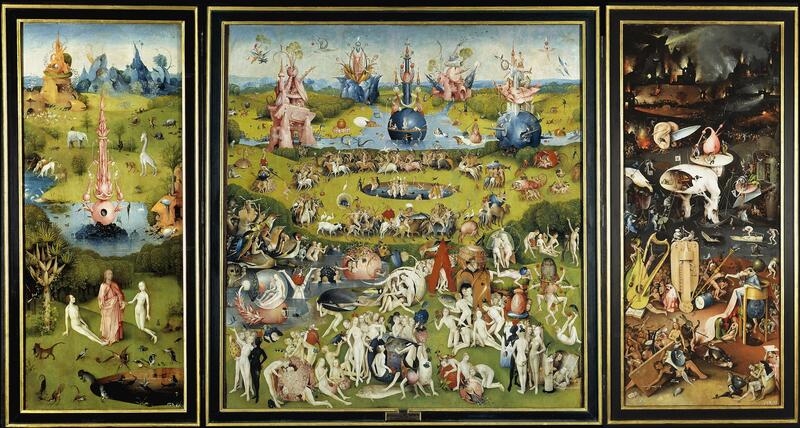 Yet this somehow seems appropriate, since just as there is very little biographical information on Bosch, there also seem to be very little of the individual personality (which we’ve also come to expect) in the people he depicts. 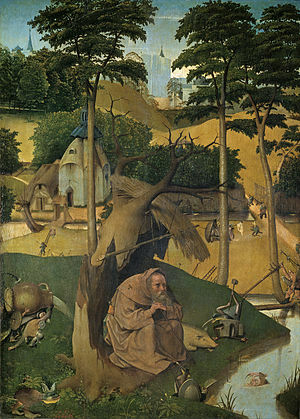 Perhaps there are exceptions—such as his crouching Saint Anthony; or closed-eyed Christ swarmed by a terrifying crowd; or background characters like the men in his Adoration of the Magi, leaning through a window to warm their hands over a fire—but in general Bosch’s people are more symbolic than personable. For all that, though, his people, his composite creatures, and his strange landscapes do contain a strange attraction, a strange familiarity. 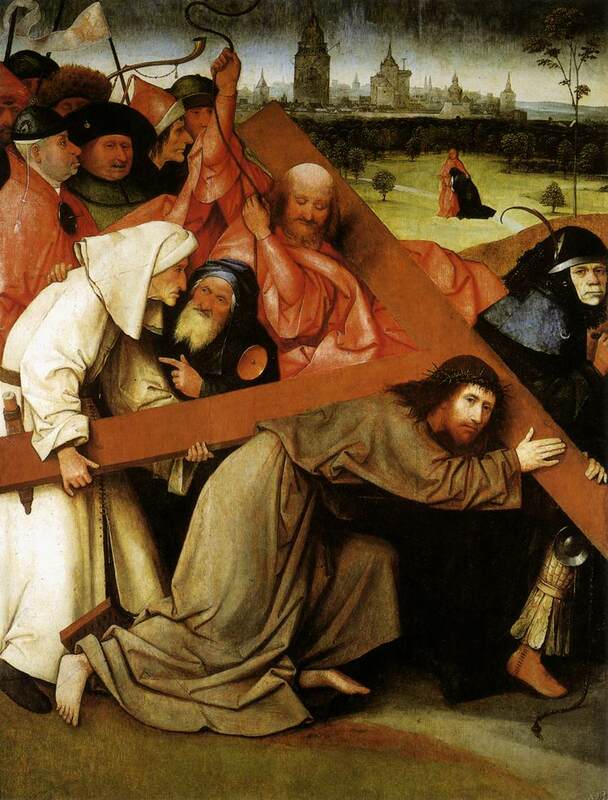 In Bosch’s Crucifixion with Donor, the backdrop of Jesus’ death is not Jerusalem but “a simple Dutch town (complete with windmill),” and a similar contemporary setting is seen in Christ Carrying the Cross, Adoration of the Magi, and others. But if this is true, the opposite case is, as well. 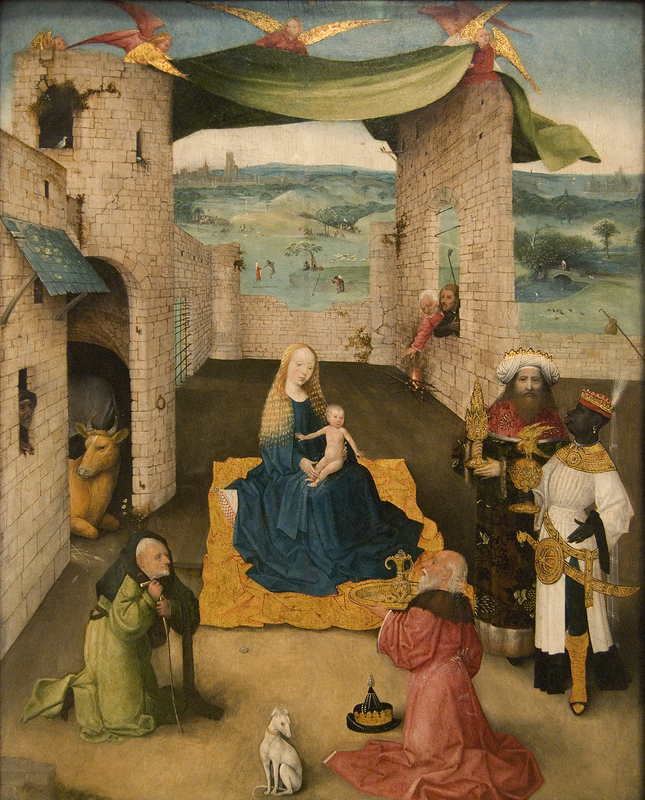 The setting for Holy Family at Work is “typical of a fifteenth century bourgeois abode,” while Bosch’s Christ Child with Whirligig and Walking Frame and Adoration of the Magi (complete with Dutch backdrop) suggest not just the humanity of Christ, but the holiness of the everyday, of all that is contemporary. 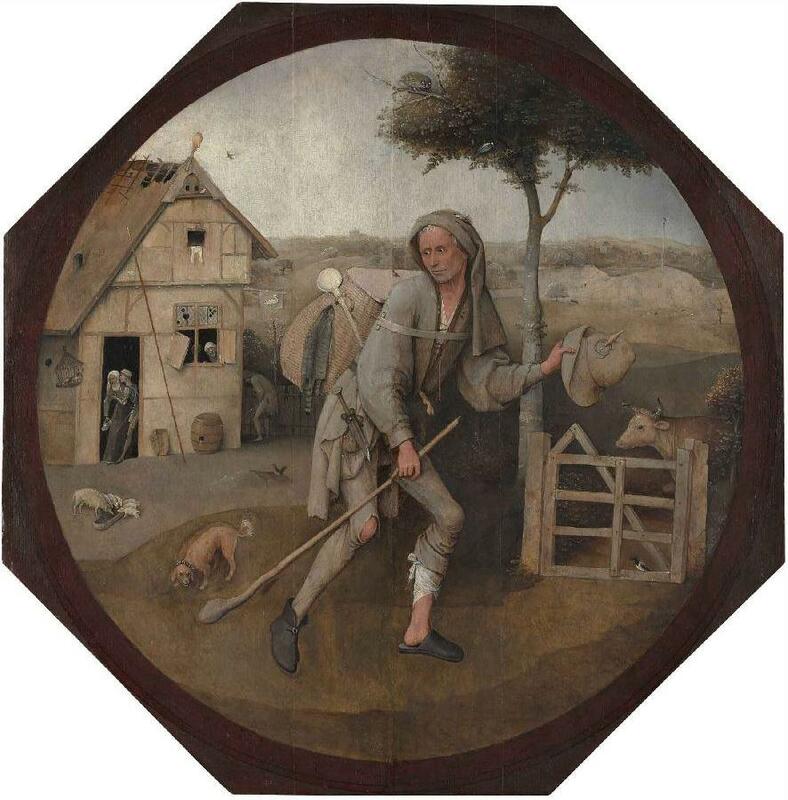 One of my favorite works of Bosch is Death of a Miser, a tall, narrow scene of a hoarder, wasted away and near death, his cluttered room already invaded by demons and creatures who are waiting to make off with his things. 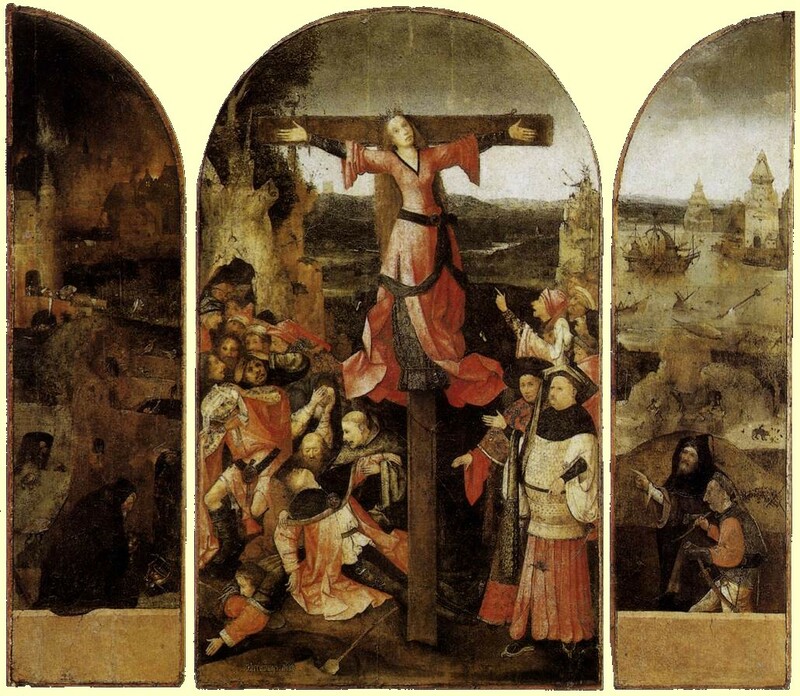 Death, quite literally, is at his door; and despite the crucifix at his window and the imploring angel holding the dying man up, he seems by his gesture (towards death with one hand, to a bag of gold with the other) to have made another choice. 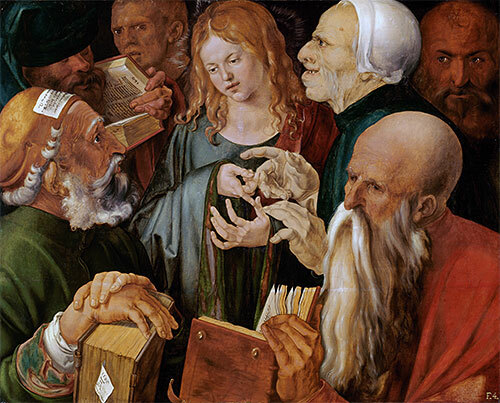 It also removes the horror and gore and fear which scenes of death and demons usually inspire, and instead suggests a more disturbing option—sin and the devil are more subtle, insidious, and even playful, rummaging through a crowded room. 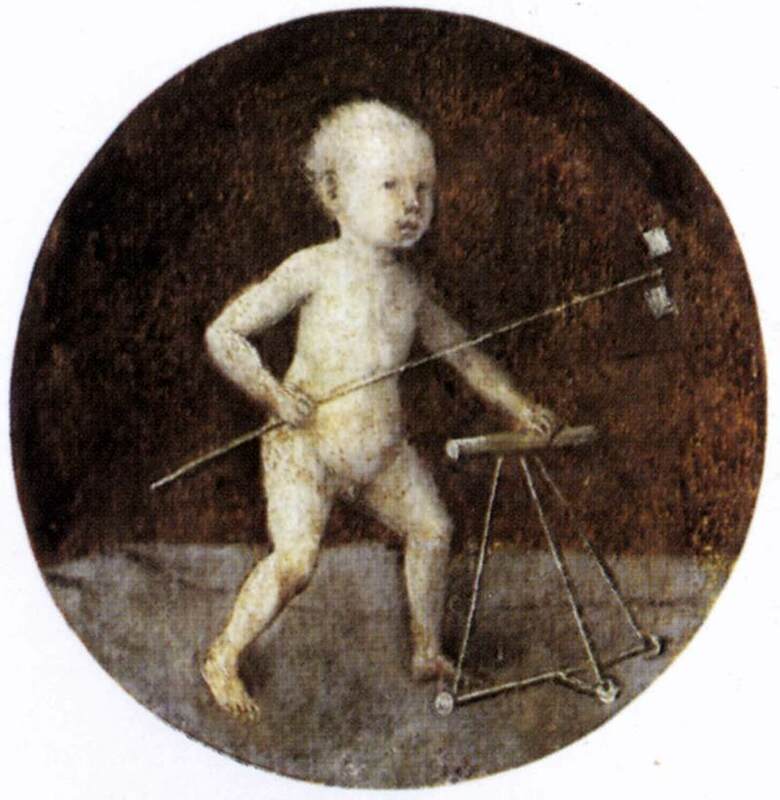 Dixon describes “Death of a Miser” as a scene of “willful folly,” willful because an entire selfish life has been lived, and filled with accumulating years of bad choices. 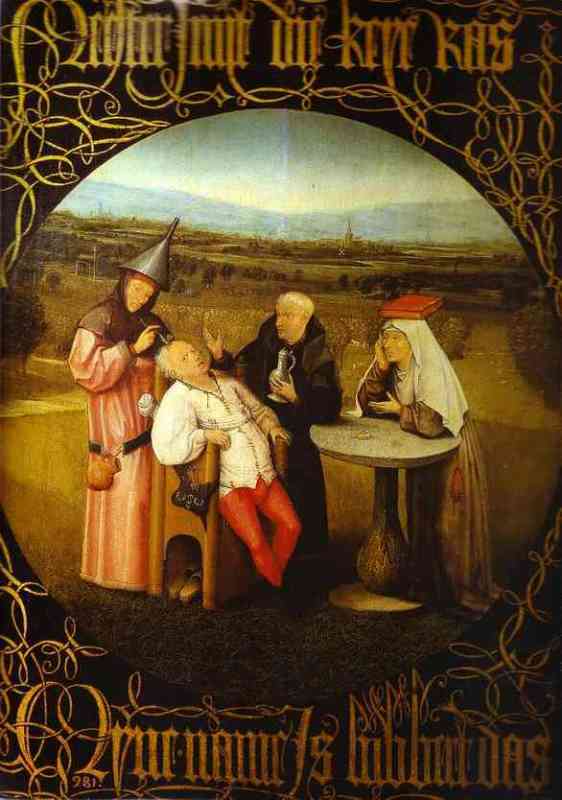 For some reason I’ve always connected the miser with the patient in Bosch’s Stone Operation. Apparently madness, or just “folly,” is being cured in this scene, although Dixon illustrates a wider meaning. 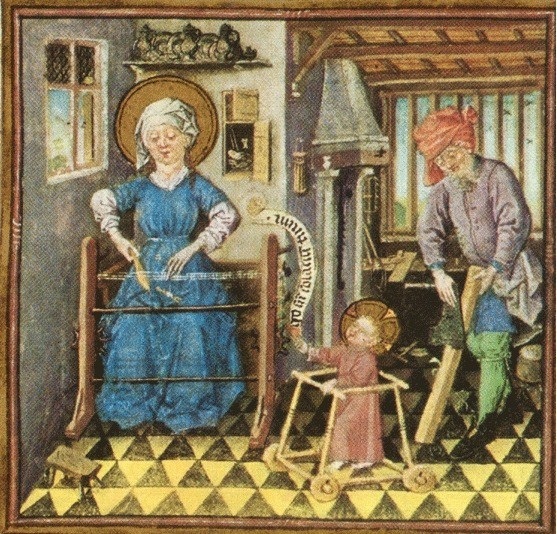 Both a monk and a nun are watching this operation, and the nun has a book on her head to complement the surgeon’s funnel on his. 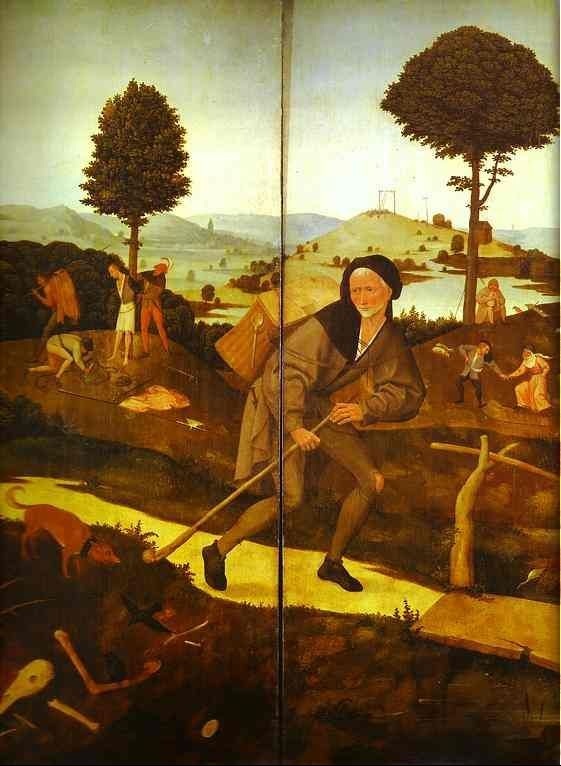 Dixon, who writes so well of Bosch’s references and knowledge of alchemy, suggests Bosch is satirizing not alchemy, science, or religion, but only those who think such paths can be used as shortcuts, and the charlatans who abuse this gullibility. While this interpretation is impossible to prove, reading it I nevertheless equate this fellow, desperate for whatever easy answer he can get, with the various conspiracy theorists who crowd our world, or those who prefer their religion as easy and thoughtless as possible. 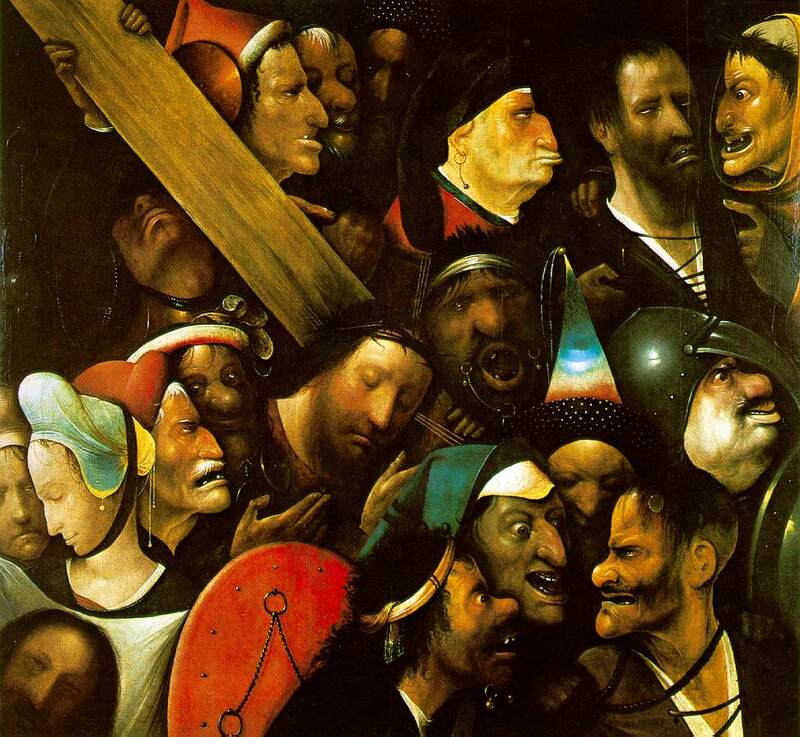 In his Christ Carrying the Cross, Bosch crowds his Jesus around with a claustrophobic group of grotesque faces. 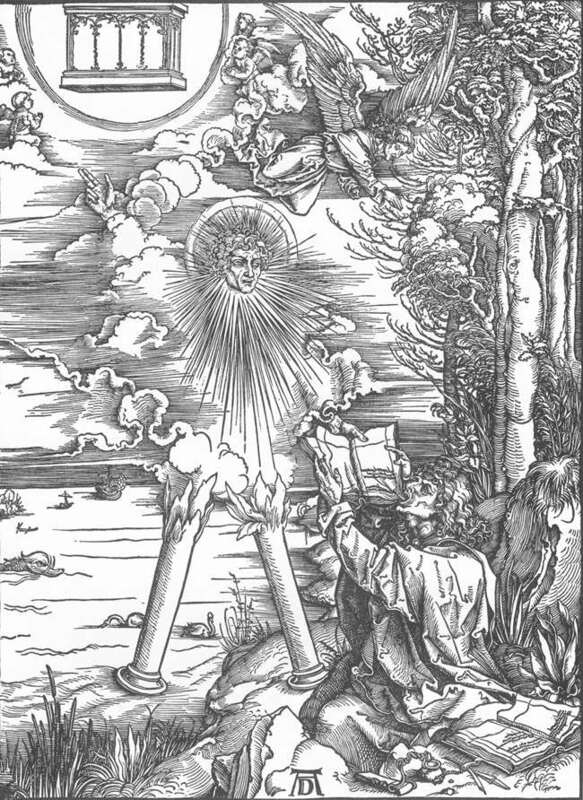 Such depictions went along with the theories of the “physiognomic theorists” that associated “facial deformities … with specific character flaws.” So, just as contemporary thinkers and artists (such as Erasmus and Dürer) believed Christ to be “a man of medium height, with symmetrical, regular features, a fair complexion, thin beard and brownish-auburn hair,” his enemies were immediately recognizable by their ugliness. (This strategy continues to this day in Hollywood and popular fiction, where the good are beautiful and the evil are wormish and unpleasant-looking.) 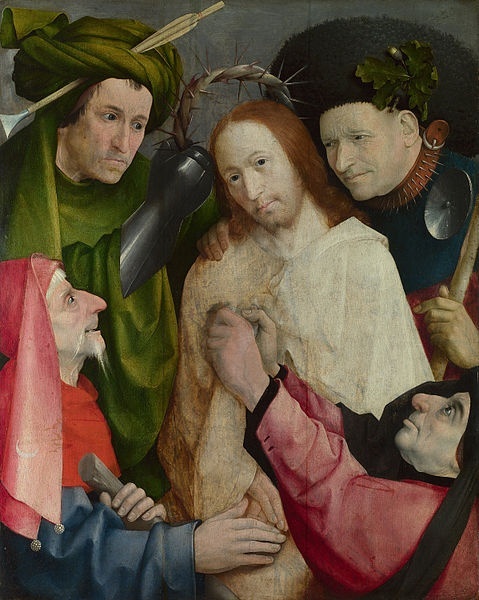 Unfortunately the appearance, specifically, of a large nose, many times shown in profile (such as Dürer’s Christ Among the Doctors) these “grotesques” were inevitably equated with Jews. 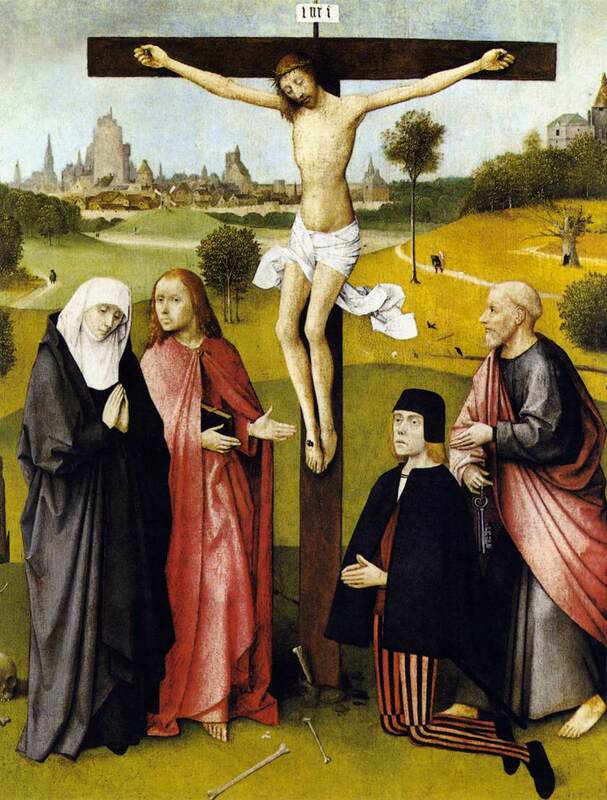 Commenting on Bosch’s Crucified Martyr, a completely bloodless death of a fully-clothed and utterly unharmed-looking woman, Dixon writes that Bosch primarily “painted holy figures who lived in isolation and deprivation.” While Bosch could be morbid and brutal when he wanted, “morbid martyrdoms” didn’t interest him. 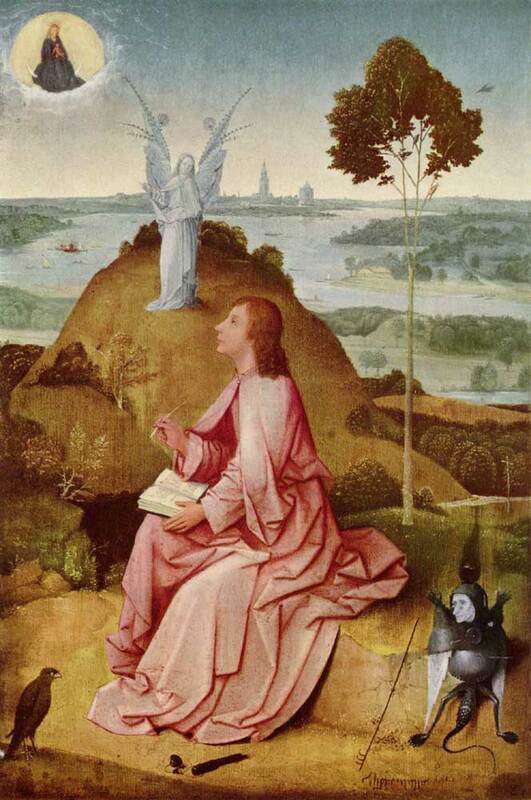 Indeed, his version of John the Baptist ignores his more dramatic execution and instead shows him serenely occupying a (Northern European) wilderness; his version of John of Patmos having the Book of Revelation dictated to him looks like a school lesson compared to Dürer’s version, where John is shown painfully swallowing scrolls; and his version of St. Anthony—also depicted in Northern Europe, rather than the deserts of Egypt—while indeed showing the demons with which that saint was tormented, nevertheless is also fairly serene, even sleepy. Early chemists, Dixon writes, “defined their work as a means of bringing them nearer to God and viewed their research as a Christian duty,” words which science-fearing and literal-minded religious faithful of our own day should consider. 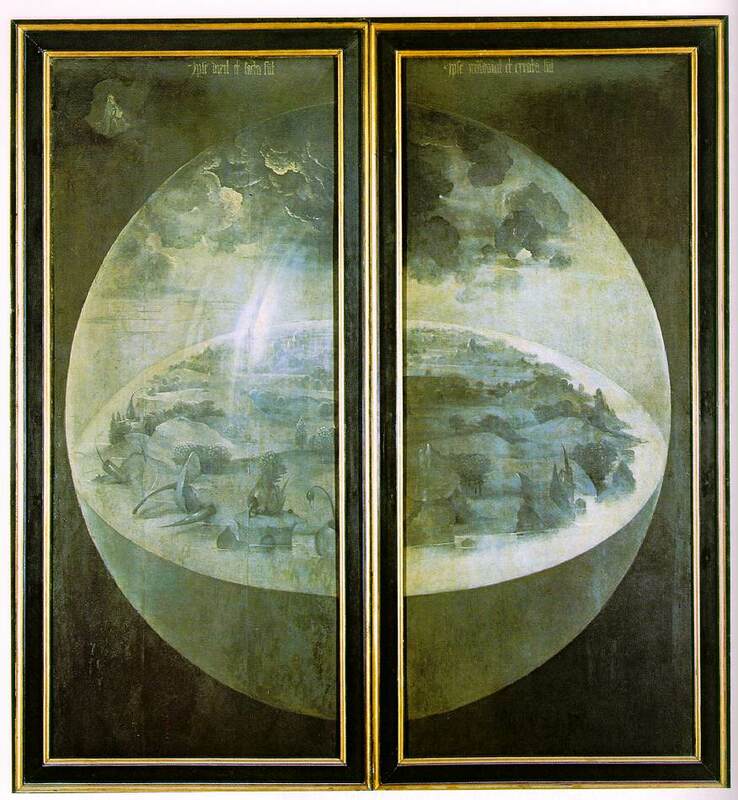 While Bosch’s world contain elements no one nowadays would care to resurrect, the symbolic vocabulary his contemporaries could call on to deal with religion and science and the everyday are worth trying, however minimally, to recover. Ibid., 39, 214, 233-4, 224-78.